Personal Injuries Claim Services - MJ O'Connor Solicitors - Wexford & Cork, Ireland. We have specialised for many years in personal injuries and medical negligence claims*. We are committed to providing an exceptional level of service in a straight forward, friendly and efficient manner. We offer personal service at all times and offer impartial advice using straight forward and plain language and by providing personal attention at all times. Our claims* service is structured in a fashion which means that we can deal with claims regardless of geographic location with a view towards minimising the inconvenience caused in the process of pursuing a claim*. If you have a question about a claim* contact us at Wexford: 053 9122555, Cobh +353 21 4813944, or tell us about your case and start your claim* today. 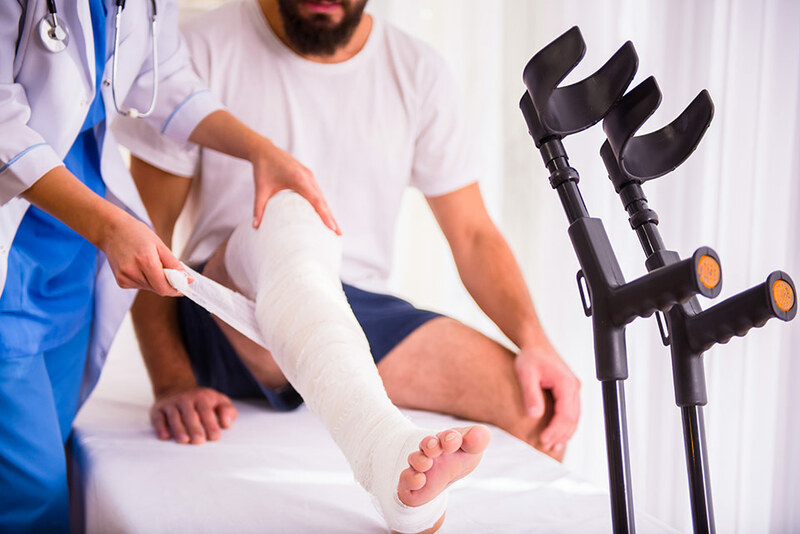 In order for our firm to process your claim* through PIAB (Personal Injuries Assessment Board) we must first take up a medical report from your treating doctor. This report will outline all of the injuries sustained by you as a result of your accident. This report is very important as PIAB will base their assessment of your claim* solely on the contents of your medical report along with the report of an independent medical practitioner. Once we have received the report from your doctor we will send a copy of it to you along with a Form A. The Form A is the application form which must be completed and signed by you in order for PIAB to deal with your claim*. We specialise in PIAB applications. We provide expert advice throughout the entire process and ensure that each and every client receives our full care and attention. We ensure that the Board adheres to the time limits imposed on it and deal with all queries from the Board on your behalf. If you have decided to make an application to the Board yourself, without using the services of a solicitor, we will be happy to arrange a consultation with you to look at the paperwork and advise as to whether or not we believe that the Board has made a fair assessment of your claim*. If you have been involved in previous accidents or think that it may be necessary to bring your claim* against more than one person/company, if your injuries are serious and no final prognosis has been given, if you are suffering with psychological injuries or if you were suffering with previous injuries or illness it is highly recommended that you seek the advice of an experienced solicitor before making an application to the Injuries Board. Please do not hesitate to contact our dedicated and experienced team of solicitors who will be more than happy to talk you through the whole process and answer any questions that you may have. If you have a question about a claim* contact us at Wexford: 053 9122555, Cobh: +353 21 4813944, or tell us about your case and start your claim* today. *In contentious business a Solicitor may not calculate fees or other charges as a percentage or a proportion of any award or settlement. This statement is made in compliance with regulation 8 of SI518 of 2002.